If you weren’t sufficiently creeped out by the Weeping Angels of Doctor Who fame, the good people at ThinkGeek have created a way for you to bring the Lonely Assassins into your home. The website is now selling strings of 10 angels, with five in the attack position and five covering their faces. Although the angels themselves don’t blink, the lights inside of them do, and we suppose that’s good enough to convey the horror of an assassin that only attacks when you’re not looking. 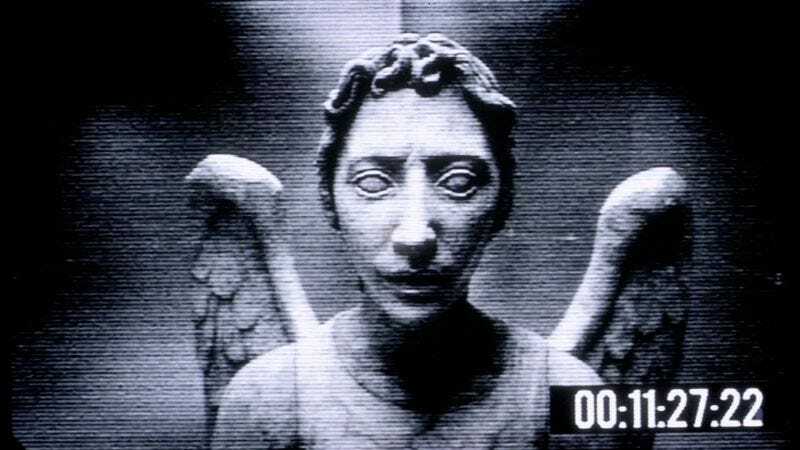 The Weeping Angels are some of the most terrifying predators in Doctor Who; they turn to stone when you look at them, and attack when you take your eyes off of them. They dispose of their victims not by bloodshed, but by depositing them somewhere in the past and letting them live their natural lives in a time period of the angels’ choosing. It is, as the Doctor tells us, a mindfuck of wibbly-wobbly, timey-wimey proportions, and if you blink, you’re dead. So have fun stringing those lights from your Christmas tree this holiday season. You can purchase them at ThinkGeek, which also sells strings of TARDIS lights, so it might be a good idea get both so you can encircle the TARDISes with the angels.